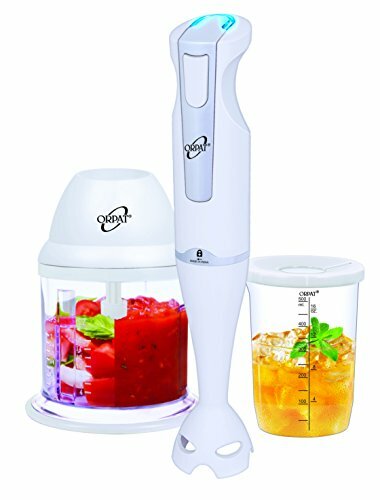 Top 10 Best Hand Blenders in India – Reviewed: Hand blender is a multipurpose kitchen appliance, used for emulsifying, blending, whisking, pureeing soups and sauces. 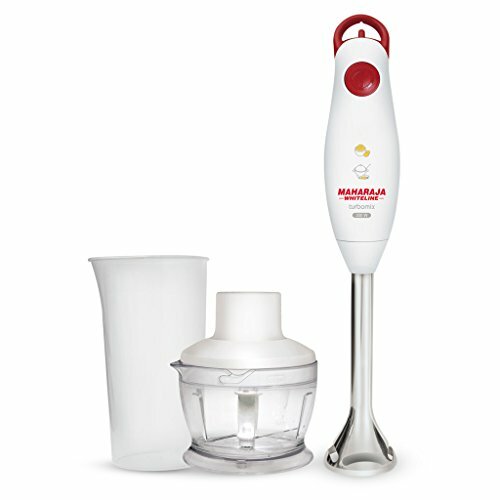 Hand blender can also be referred as immersion blender or a stick blender. 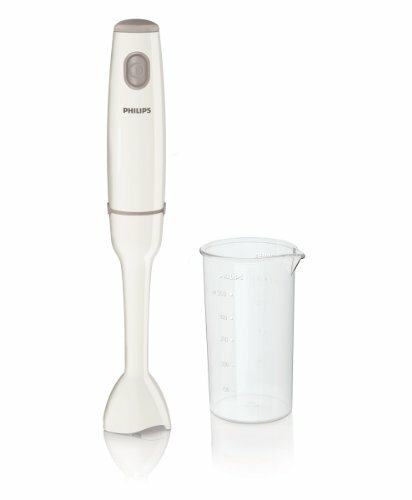 Hand blender allows you to immerse the blender in a liquid to combine it, giving you an appliance in your kitchen that can increase your flexibility in the kitchen. 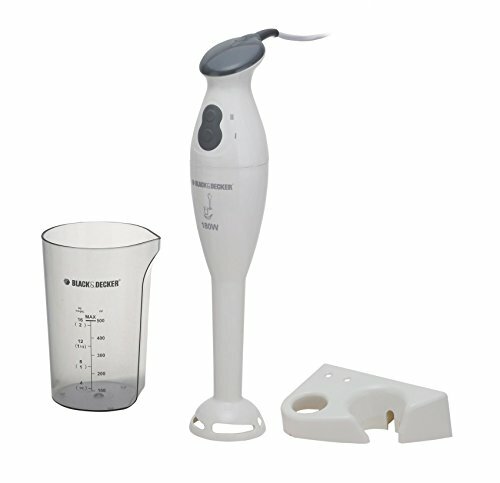 Unlike the other traditional blenders, a hand blender can be used in any container you want. It does not have a container of its own. 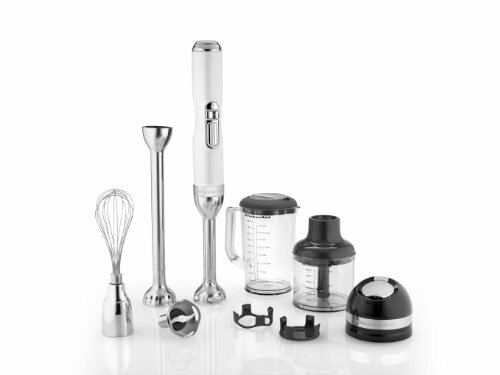 What’s the difference between hand blender and a hand mixer? Hand blenders and hand mixers are clearly distinct gadgets although they look similar for the most part of it and people often get confused over it as both are held in your hand. A blender turns things into liquids and a mixer often combines ingredients and isn’t capable for turning them into liquids. A blender can smoothen a soup or make milkshakes, a hand mixer can beat eggs in a bowl or whip cream, the physical difference is on the blades or the rotary part that is immersed in the ingredients. 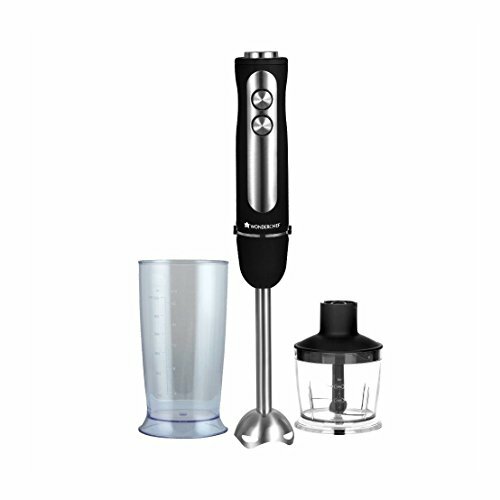 Back to hand blenders, this simple, yet effective device lets you blend inside of a liquid without the use of a traditional pitcher or carafe blender so you can quickly make many blended items. To choose the best one for your kitchen is your first priority, below mentioned are the best hand blenders with nice features, good specifications and most importantly with great customer reviews . 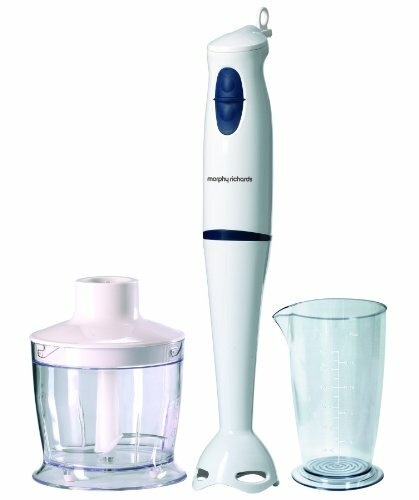 I am pretty sure the list will help you in finding out the best suitable hand blender for your home. The powerful motor makes the appliance a reliable companion in the kitchen for all of your cooking needs-blend,whip or chop uisng included attachments.